Tables in the sales area are available at $30 each. Tables will be assigned on a first-come, first served basis and are limited. Dealers DO NOT pay registration fee unless also attending event activities. Dealers set up on Friday, TBD from 8 to 4:30 pm. 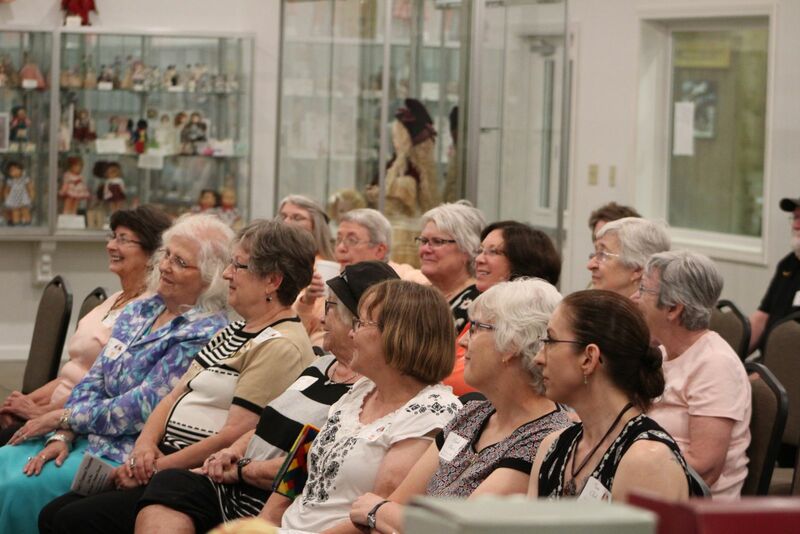 The registration fee of $60.00 covers all events including meal, souvenir gift and more! 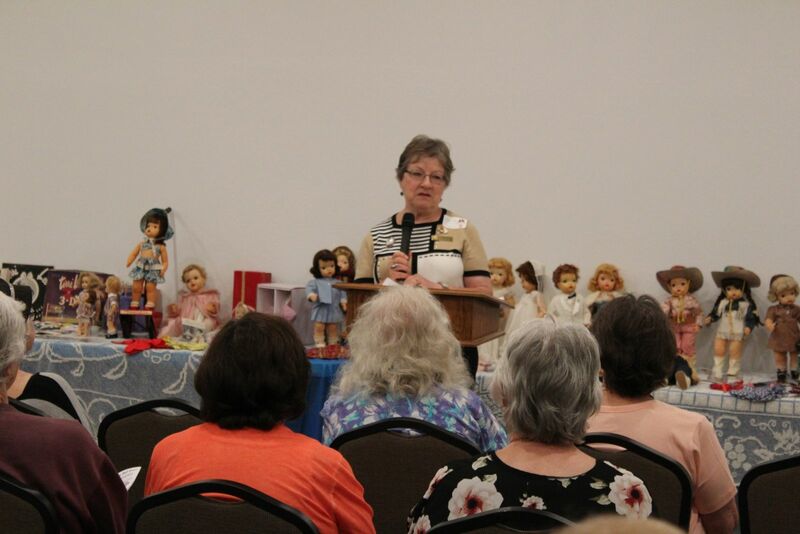 A full day of doll events, displays, seminars, etc. 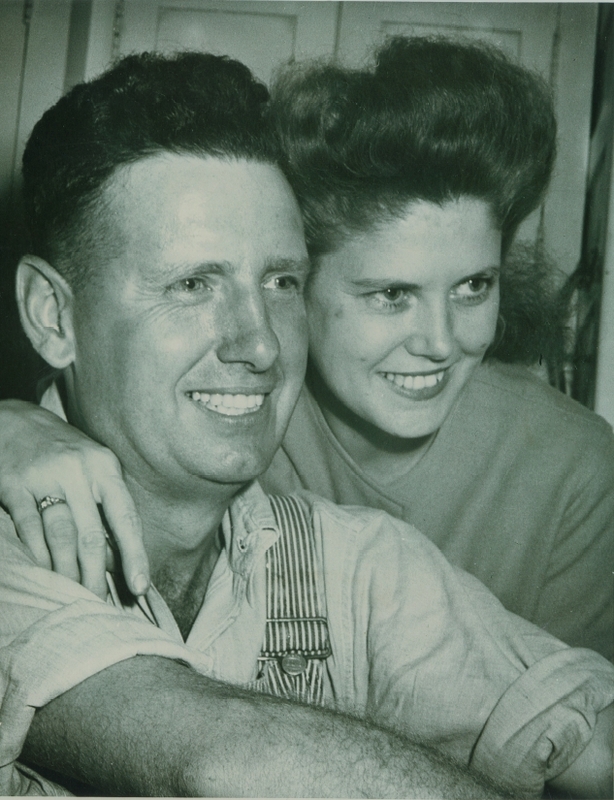 Mrs. Wilma (Nye) Bussey was married to Donald Bussey in 1939, in Bloomfield, Iowa. They were ardent visitors to the Old Threshers Reunion. Mrs. Bussey passed away in 1978. 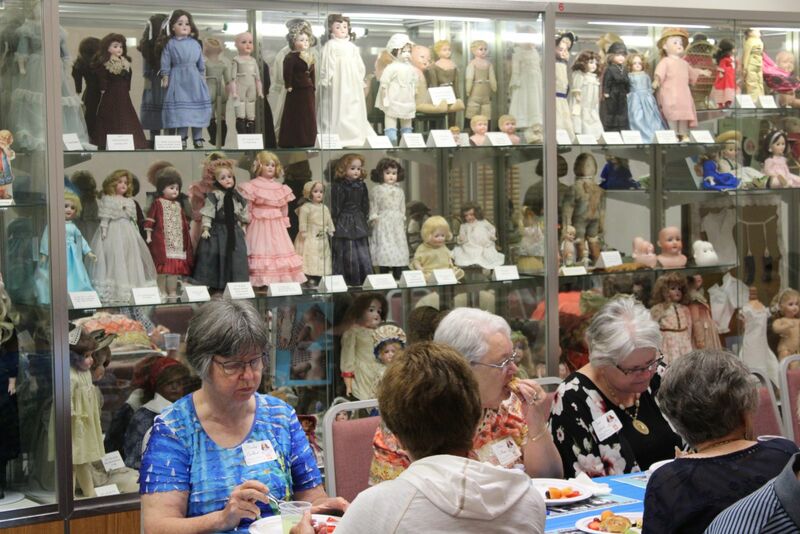 It was her fervent wish that her dolls not be separated. Don Bussey decided he would like them to be in Iowa and felt the Old Threshers Museums would be a fitting "home" for them. You will find Rose O'Neill's "Kewpie", a small "Googly", and "Chatty Cathy." 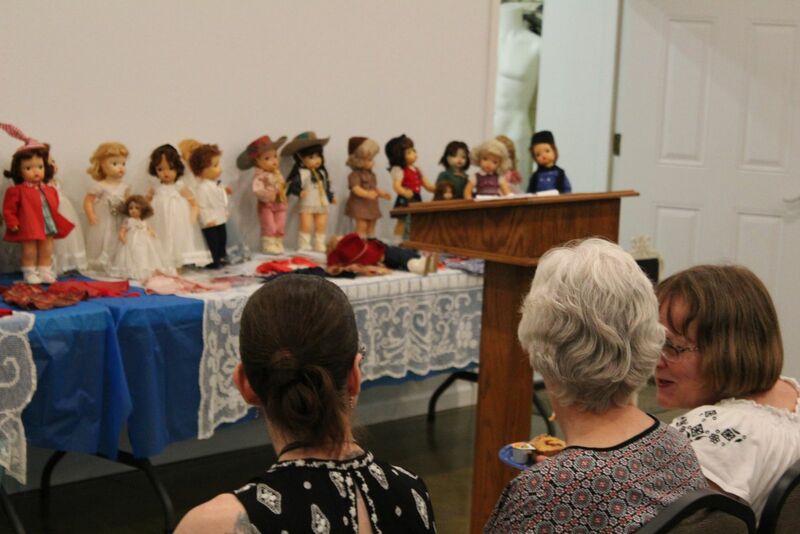 The Hawkeye Doll Club & volunteers under the direction of immediate past Hawkeye president, & Bussey collection curator, Glenna Voyles, have labored to repair, restore, and stabilize the dolls. 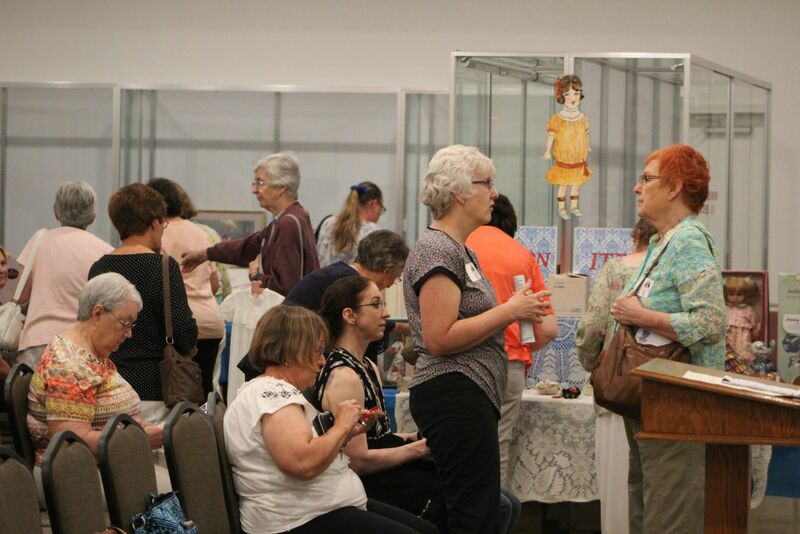 Currently, approximately 150+ are exhibited. 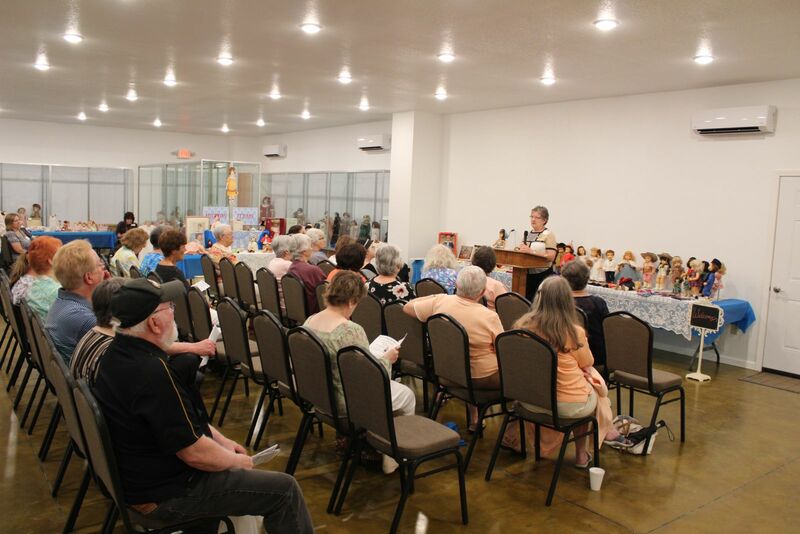 We have interesting displays, host seminars, workshops, etc., to help raise funds for securing permanent housing for the dolls. Any group desiring a program on the collection, please contact Midwest Old Threshers to make arrangements. We are happy to share the collection and anxious to display even more. 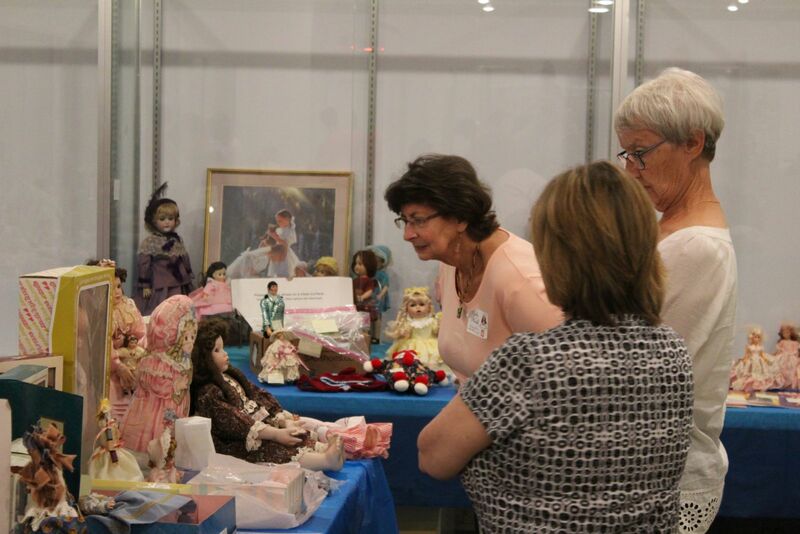 These historic dolls are a wonderful acquisition for the Old Threshers Museum, and give the female visitors something to get excited about! Any donations for the "Doll Fund" are most welcome and appreciated.